Is The Toronto System Scam? – Toronto System Review Earn At Home Club Review – Earn At Home Club Scam? Online Sales Pro Review – Is Online Sales Pro Scam? 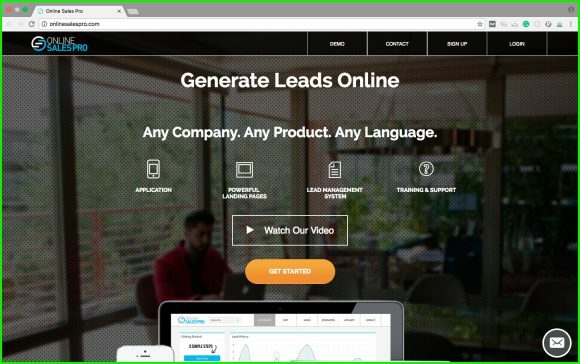 Online Sales Pro Lead Generation Review – Should You Join Them? Welcome to another review on HowToStaySafeOnTheNet where we expose scams and find legitimate systems for you to profit from. Today, let us put our focus on the Online Sales Pro Lead Generation System (OSP). 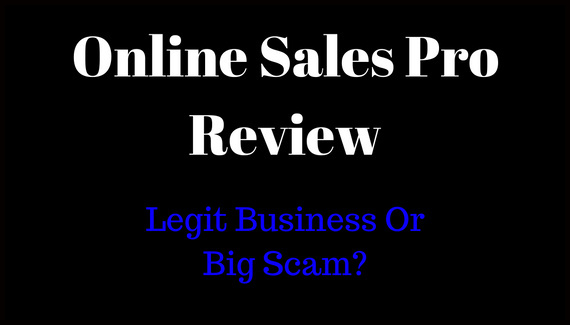 Within this “Online Sales Pro Review – Is Online Sales Pro Scam” review, we will lay out the facts on the table for you to make a well-informed decision. Some of the questions that you are looking an answer for are most likely contained within this review. Online Sales Pro is a legitimate Lead Generation Software. It focuses on helping online maketers to generate leads to thier offers and is also available in all the major languages. The software focuses on the lead generation aspect of online business & they also offer a neat affiliate program where members earns commissons if they sell the product. Overall, a great source to collect leads for your online business or if you are looking for a new product to promote as an affiliate. Click Here For My #1 Recommendation! Names Behind The Online Sales Pro Company? The Online Sales Pro Company was first registered by a person named Kitty Vimarie. The company has been around since September 2013 and is owned and operated by the Leadline, LLC. Kitty Vimarie appears to no longer be associated with the Online SalesPro company which is based out of Tucson, Arizona. The face we now see behind the Online Sale Pro is Vincent Ortega Jr. He happens to be a successful internet marketer and is also associated with the Traffic Authority product; which is a product co-founded by Greg Chambers, Doug Wellens, and Chad Stalvey (other well-known internet marketers). Vincent Ortega Jr. is also known to possess a positive reputation within the internet marketing world and is respected by his peers. Online SalesPro has a Facebook page that is updated on a regular basis now. They pride themselves as a successful “Lead Generation” company. The Online SalesPro offers a no string attached 7 days free trial for those who are interested in the Online SalesPro – that is after you enter your credit card details. Just remember to cancel your free membership before the seven days if you do not wish to continue with the system, if not you will be automatically billed. So how much will you be billed after the 7 days free trial? You will be billed $37 dollars. This will be a recurring fee for every month after that date. Members also have the option of upgrading to annual membership if they wish. The cost for the yearly membership is currently priced at $294. There is also an affiliate program for those who would like to promote the OSP system to earn commissions. Affiliates do earn a nice commission of $20 per month in residual commission for referring others to join. NEW IMPORTANT UPDATE: The Online Sales Pro no longer offer the 7 days free trial. The $37 per month and the $294 per year is still in effect. Most of the training and tools that are available inside the Online Sale Pro platform are dedicated for users to manage their leads. Users will be able to view their lead’s contact, status and so on. This will enable you to contact your leads with information about using the system or answer their questions related to using the OSP. …Is a very useful APP that I have seen some members mentioned and raved about. Members like the convenient messages they will receive; especially the Cha Ching ones, which tells them that they have just earned a commission! Or messages notifying them of new leads. You will be able to contact your leads using the device of your choice by accessing the Online SalePro APP. The over 500 landing pages contain templates which members can modify to fit their business plans and needs. According to the official website of the Online Sales Pro, their landing pages also come fully loaded with content that is already written for you to use. The danger that I think with getting a landing page with pre-loaded content is that this is a duplicate, therefore, everyone else will have the same rehashed information. Google and other search engines do not like duplicate content and will demote anything that contains such material. Newbies should be aware of this negative within the OSP system. More advanced marketers will find a way to get around this by using methods that they have managed to learn over the years, such as copywriting etc. OSP has more to offer within their platform too. Online entrepreneurs will be able to benefit even more when they purchase additional software, this way they can use to boost up their online revenue. You will be able to purchase custom dashboards, university training, and Co-branded affiliate marketing systems. The Online Sales Pro has a very lucrative affiliate program. Members earn $20 residual income when they invite others to the OSP through their unique affiliate link. The team at OSP does a great job in making it easy for affiliates to create a custom page with their image etc. Overall, it is a pretty cool gig for those who are looking to add to their already established stream of income. The Online Sales Pro is a LEGIT business that is suited for people who are interested in getting leads to whatever offer they are promoting. I think that the $37/month is a good value in the marketplace. The capture pages are professional looking and also the well-known smartphone APP. You could be able to get some good leads to your offer with the system. Overall a solid investment for the busy entrepreneur. Some of my colleagues in the marketing business have said some really good things about the OSP program and they have a good converting rate. If you would like to get more leads, then Online Sales Pro will be a good program for you. I would like to thank YOU for taking your time to check out the Online Sales Pro Review here on HowToStaySafeOnTheNet. I hope that I have provided useful information for you to make a wise decision today. Let me know if there is anything else that you would like to know about the Online Sales Pro System, or if you have any questions at all about this review. I will be more than happy to provide an answer for you at the earliest time. Always remember: Avoid Scams At All costs! Wishing you great success online. 30 Responses to Online Sales Pro Review – Is Online Sales Pro Scam? Can you check out ustaxlienassociation.com to see if it legit/scam or not? I may take a look into it and do a review soon. I’m just still a little confused on how WA goes. Could you give me an example of how it works with the affiliate programs & how it connects to the website you create? Anything helps. Firstly, there is an affiliate program for every product that you can think of. Wealthy affiliate teaches you how to build websites which will target certain keywords which people are typing into the search engines. This is what is known as SEO (search engine optimization). As an example, suppose you wanted to find the top 5 basketball shoes of 2017. Typically, the results you see would be affiliate sites. These website’s owners will sign up as an affiliate to promote certain basketball shoes that they chose to review or promote, and they will get access to a special affiliate link provided by the affiliate company. When visitors clicks through and make a purchase using those affiliate links, they will then get a commission from the sale. So in essence, that is what Wealthy Affiliate shows you to do and they provide the tools such as websites, hosting, and most importantly the training you need to make this all possible. I hope this example helps you to get a better understand how the affiliate marketing process works. If you have any other questions, feel free to contact me. So wealthy affilliates and online sales pro. Are they associated? Seems to me like they go hand in hand somehow? I have already signed up with wealthy affiliates, and just puchased an AMP store. Now I find O.S.P. Which to? and What to do first/next department? I’ve been spinning circles around myself for awhile now in just trying to find safe investments. Everything keeps bringing me back to wealthy affilliates. I guess that’s a pretty good sign alright. But I need to get something up and moving soon seeing as I’ve lost my job. Any suggestions? WA and OSP are totally different companies and are not associated as my review pointed out. With WA, it’s very simple. All you need to do is follow the “getting started course” by clicking on the green button you see to the left of your dashboard once you are logged in. It is a smart button and it will get you back to where you left off and tracks your progress. WA may be the most ethical online business platform which allows newbies as well as advanced marketers to build thriving online businesses. You can connect with me within WA and I will help you out. If I buy the app then a month later decide to quit, would that be possible? You are in charge of your membership. Hey Jason, I want to get involved with both of these opportunities, but I’m still not totally clear on how it works to generate an income. Do I need to have a product to sell or just information promoting other products, in order to get people to go buy them products. Then get paid based on the amount of traffic that goes through my site. Please help me try to understand how it works because I want to do this and once I totally understand it, I will be so dedicated to it. Affiliate marketing is simply recommending a product or service on your website, social media profile, email, etc. When someone buys the product or service that you recommend, you get a percentage of the sale. It’s really as simple as that. Most people make the process seems very hard when in fact it is quite simple. You sound like you are a serious individual, so I would like to guide you personally if you want me to. As a newbie, I would recommend that you start out with a free membership at Wealthy Affiliate. Once inside, I will be guiding you through the entire process. Sign up now by clicking right here. Online sales pro is also recommended, but I would wait until you actually understand the entire process. I will send you more info once inside. Hey, Jason, I have a few questions. Are you with OSP or WA? I’m interested in signing up and would like to know which one is best for me. Currently, I am with WA. Some of my colleagues are with WA and also OSP. WA focusses on helping anyone to build a business online, while the OSP is more suited for people who are already familiar with building a business online. OSP focusses mostly on landing pages, therefore, if you already have an offer to promote, it would be ideal for you. Overall, I think WA will provide for you the essentials to start a second-hand shoe website plus other websites in different niches if you choose to do so. Both WA and OSP has an affiliate program where you can earn commissions. For each person you refer to WA, you will earn $23.50 once they take advantage of the premium membership. For the OSP, you can earn $20 for each new paying member. I do not have a link to join the OSP as yet, but you can visit their official website to sign up. You can also take advantage of the free training and the first month premium for $19. Do let me know which direction you choose. It’s really good to meet you and I hope that you will get the best benefit from whichever system you decide to choose. Nice review, do you think you can use Osp solely to be an affiliate and make money from it as an online business?? Thank for you comment, John. YES, I think you can use Online Sales Pro to definitely make money online. Once you know how to set up your website and get it indexed on Google, writing great quality content (probably even a review of OSP), getting to know how the “make money online niche” works then you are sure to use OSP as an additional source of income. I’ve been a member of Wealthy Affiliate for 7 months now and I have been very pleased, the tools, training. The best part to me is the community. I have been so amazed at the encouragement and support. I have done my research and have come across quite a few scams but WA is the best that I have seen and been involved with. I love my website and this is all thanks to Wealthy Affiliate. Free to start then $49 a month is reasonable, I love it! I am sure that many people share your views as well. When people get involved with Wealthy Affiliate, their financial status does improve for sure. FYI, network marketing is a legitimate way for the “little guy” to make some extra money (and in the case of some of my friends, to have a rewarding career and support their families). It is bad form to say something like “MLM is a pyramid scheme” because PYRAMID SCHEMES ARE AGAINST and network marketing is totally legal. Thank you for your input here. According to Wikipedia, Multi-level marketing (MLM) is a controversial marketing strategy in which the sales force is compensated not only for sales they generate but also for the sales of the other salespeople that they recruit. This recruited sales force is referred to as the participant’s “downline”, and can provide multiple levels of compensation. They also point out that other terms used for MLM include pyramid selling. You can read the entire article here to get a much clearer understanding. My intention is not to turn off anyone, but rather to point out some facts. I know that affiliate marketing is the best online business model to follow, especially for a newbie. It is ethical and once you are able to learn it the right way then there are tremendous amounts of revenue to be made in any niche of your choice. I hope I was able to clear this up for you. Thanks for the review, but you obviously have your own agenda and that is to sell WA memberships. I am not a member of either program, but I haven’t heard good things about Wealthy Affiliate. I was told to avoid it in all honesty. Thank you for reading and sharing your opinion on this Online Sales Pro Review. Yes, I am a very proud member of Wealthy Affiliate and sorry to tell you but you have been totally misinformed. My review of the Online Sales clearly states that I recommend it, however, it is not the best to build a business from scratch and that is the truth. I am not sure where you got your information from about Wealthy Affiliate, however, I am open to reveal real substantial evidence of what you heard about the community. Do provide further details to back up your statement. All I know it that the WA community has a very high success rate and is still #1 in the affiliate marketing industry. I hope to see your reply soon. I do understand exactly what you mean…there are a lot of frauds for sure. The safest way to stay from frauds is to get an understanding of how online business really works. That is why I am totally dedicated to Wealthy Affiliate. They actually teach anyone how to create a real online business which will profit for sure once you are willing to put in some time, energy and dedication. I would say that if you are able to invest 3-6 hrs per day, then you will be able to start generating income for yourself in the long run. I am here for support if you ever need me. The best place to reach me is within my Wealthy Affiliate Profile or send me an instant message at the end of the page in the form provided. So Online Sales Pro is just another MLM? Do people actually get rich from these? Online Sales Pro has elements of MLM and the training is based on promoting mostly MLM systems, however, others systems such as affiliate marketing products are also promoted using OSP. It is already a known fact that people have been making money online with these systems for a very long time now. This allows ordinary people to profit online and live a more comfortable and stress-free lifestyle. Hey everyone, I just wanted to say Ops doesn’t pay like MLM really you only get commissions from your sign ups you don’t make any commissions off of the affiliates that sign up under the affiliates that you sign up so basically it’s just one level and it’s just my personal opinion but MLM to me is more than one level. Ok y’all have a great day and I wish the best to everyone in whatever you do. Thank you for your clarification on the Online Sales Pro compensation plan. Hi,I am based in a third world country where the cost of a dollar to our local currency is out of this world. I am a newly divorced mother of two who is also without a job. How can wealthy affiliate help me make income? I also don’t have a website. Wealthy Affiliate can help you out by providing free training and also the tools that you will need to build an income generating business online. You will also be provided with 2 free websites. All you have to do is open your mind and learn what is taught. I promise that once you are serious and pay close attention, then you will be able to make this work for you and your family. You can begin your free lessons now by clicking here. I will be helping you out once you sign up and fill out your profile. 1. First of all, what’s MLM? You mention it as a part of marketing, but what is it? 2. Does OSP just give you an endpoint to promote your products? Or they actually teach you how to do it? If you want a more thorough look at what is it, I would invite you to take a look at this link. Online Sales Pro does give people an endpoint to promote other products and they also teach people how to make this possible. Not the absolute best place to learn how to create a sustainable online business, however, there is some value to what is taught there.